Welcome to Camp Kiddo and pull up a bean bag chair. 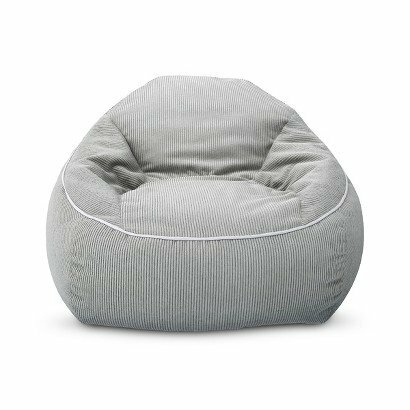 Gather around as we tell stories and plan our next adventure in the Bean Bag Chair from Pillowfort in Gray Marble. This kids' chair is perfect for a boy's or girl's room and can be hauled to the camp next door for a powwow with brothers or sisters. End a busy day by nestling into this bean bag chair and reading about intrepid explorers. If you have any questions about this product by Pillowfort, contact us by completing and submitting the form below. If you are looking for a specif part number, please include it with your message.